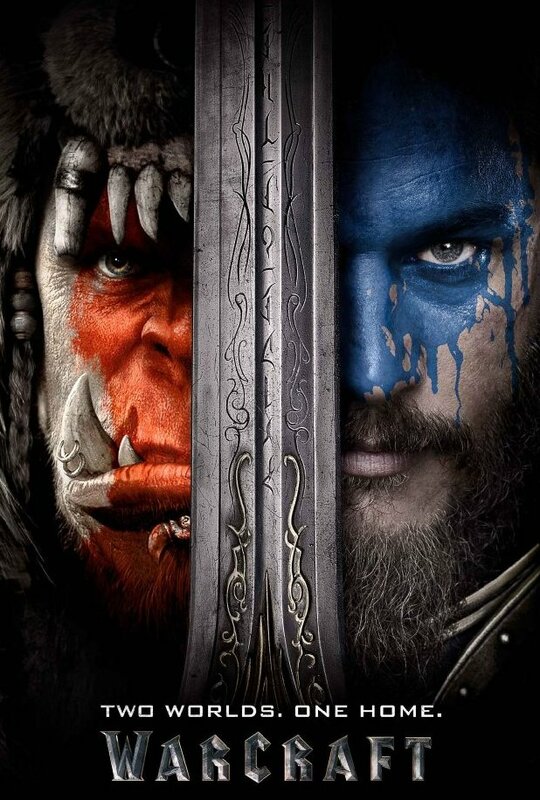 Warcraft, is by far, hands down, the best adaptation to film of any video game that I have ever seen. Other filmmakers need to take note, it's not all about the fighting! Let's get the obvious out of the way - review scores: On IMDb 6.9/10, IGN 7/10, the stuffy critics at Rotten Tomatoes scored it at 28% while the RT audience gave it a 77%. Warcraft is distributed by Legendary Pictures and tells the tale of a "world-colliding conflict" based on Blizzard Entertainment's digital universe, World of Warcraft. The film is directed by Duncan Jones (Moon, Source Code) and is written by Charles Leavitt and rewritten by Duncan Jones. Side note: Duncan Jones is David Bowie's son. The cast includes Travis Fimmel, Paula Patton, Ben Foster, Dominic Cooper, Toby Kebbell, Ben Schnetzer, Clancy Brown, Daniel Wu, Callum Keith Rennie and more. The film starts out explaining the situation from both sides of the fence, ranging from why the Orcs are invading this Earth-like setting (their own world is dead or dying) to who is who on the human side. So the Orcs are invading human lands because the Orc place is dying because of the magic they use. Also, there are some quirks to how magic is used, and by whom. What I found fascinating was how this two-hour film spent time showing the social and political issues on both sides of the fence. We are shown the father/son dynamics in and around battle, the political or power struggles within each species and the devastating results of how these issues pan out for both humans and Orcs. What was interesting was unlike Lord of the Rings, we were not tortured with minutia like eating habits or what not. We just got down to the base motivations that drove both sides. From the Orc side, it was moving on to another world to conquer and take as their own. Thus, destroying another place. From the human side, it was the obvious need to survive this onslaught of invading Orcs. It does not take long for our two races to face off and confront each other, but it's done in steps and stages that builds to a big battle in the end. There are flaws in the film, from some odd CGI fight scene moments to skimming over some characters core personalities to get to a point. But a few characters are fleshed out enough to carry the film, and unlike many films like this, I'd suggest not getting too attached to some of the more likable characters. Just saying, though I did love those giant flying eagles. And there's one event near the end that was sad and shocking all at once. This film got destroyed by critics of all types, even the ones I trust, but I found the film to be one of the more engaging video games-to-movie translations because rather than introduce all the characters then get to fighting, we got a lot of story with just a few skirmishes and one big fight scene. Despite the critical negativity about the film being too boring or trite or what not, film and game fans loved it enough to give it a 6.9/10 on IMDb. And I enjoyed watching it on HBO. I probably would have enjoyed dropping money on it too had I seen it in the theater.